Fortifying Anti-Money Laundering and KYC Controls with AI - Infosys Consulting - One hub. Many perspectives. Co-authored by Gerardo Salonia, Principal, Infosys Consulting. In the digital age where most industries are undergoing rapid technological transformations, financial institutions are still ensnarled with tedious manual processes. The due diligence required to enforce critical banking regulations such as anti-money laundering (AML) and know your customer (KYC) is surprisingly still carried out manually at most institutions. A recent study confirms that more than 51% of financial institutions regulate KYC and AML processes manually. This has a direct impact on the timelines of these complex processes that generally have a run rate of several weeks, impairing the flexibility of financial institutions and their ability to be preventive, rather than reactive. Anti-money laundering is a highly complex and regulated field in banking involving complex data and intricate workflows. With tighter regulations for identifying and verifying clients and beneficial owners coming into force in the EU and U.S. with the Fourth Anti-Money Laundering Directive, BSA, FinCEN and the FINRA Rule 3310 — the heat is really on for banks to get their due diligence and risk management acts together. Governments around the world are cracking down on money-launderers and more stringent directives such as the Fifth Anti-Money Laundering Directive are looming on the horizon. The upcoming AML regulation will specifically focus on the emergence and use of advanced technologies, and will also cover virtual currency exchange platforms and anonymous custodian wallet providers within its remit. In order to comply with these regulations, financial institutions currently engage a large number of analysts to review and investigate suspected cases of money laundering. If it is a corporate client, it entails probing through a web of transactions and paperwork to analyze the relationship between companies and their ultimate beneficiary owners, and identify if there are any strange patterns of behavior that do not match the customer’s usual movements. Artificial intelligence has the potential to greatly simplify and improve the AML control workflow and processes, minimizing costs significantly for financial institutions. Sophisticated machine learning algorithms can monitor client activity, verify viable and fraudulent transactions and reduce human intervention, boosting the efficiency of the systems. There are currently several AI and machine learning (ML) solutions available in the market that can analyze client networks at lightning speed, examining their personal transactions and specially designated nationals (SDNs) and politically-exposed persons (PEPs) in their environment, or data from third-party sources. AI can automate the updating of client risk profiles and match this against the high, medium and low-risk classification, to ensure continued compliance throughout the client life cycle. AI’s ability to read vast amounts of structured and unstructured data will enable real-time analysis of sudden transfers between bank accounts, flagging those accounts that have been without movement for a while but register suspicious transactions over a short space of time. Many financial institutions have gained awareness of these unusual behaviors only after carrying out an explicit analysis of a specific group of clients over an extended period of time, burning through a lot of time and resources. AI and ML, on the other hand, offer this monitoring constantly, and at a fraction of the time. In addition, AI can have a huge impact on reducing the number of false positives detected by traditional transaction-based parameters and thus result in lower compliance costs. Know your customer or KYC is a process that helps businesses identify their customers and evaluate any potential risks or malicious intent that might jeopardize a company’s reputation and credibility. In this field of due diligence (KYC), banks usually have different lines of control that are responsible for reviewing the quality of information entered regarding a customer across various systems. In general, these lines are made up of internal department staff who compare and review the vast amounts of system data manually. Depending on each institution’s capacity to invest in these controls, we can find two or three different control lines. Normally, the first two are under the orbit of the business line and the third lies in the internal audit department. 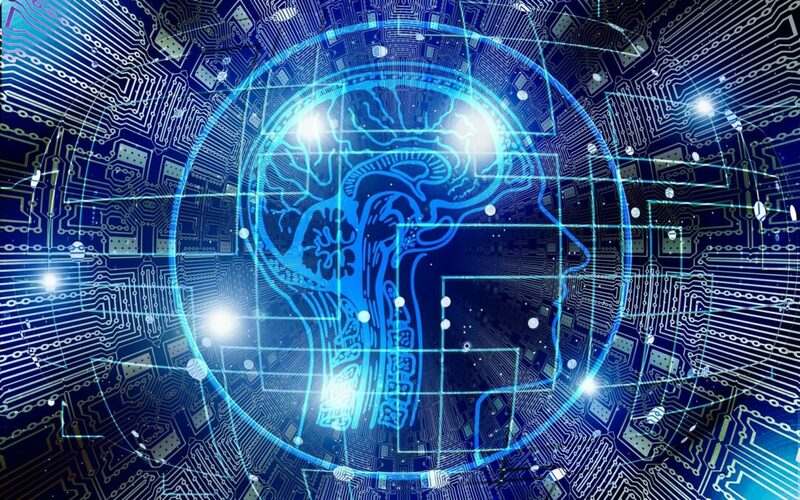 Artificial intelligence has tremendous potential to improve KYC processes, especially when applied to workflow automation and generation of documents, reports, alerts and notifications. AI and machine learning need not replace human interventions but can augment human intellect in detecting and preventing fraud, minimizing human errors, reducing the duration of control processes and improving the quality of client data on record. AI-enabled onboarding tools can help identify high-risk customers who need to be screened with an enhanced due diligence process. AI chat bots can take over repetitive tasks and analyze customer responses through natural language processing (NLP) – saving millions in time and effort. Machine learning’s ability to learn from the information that passes through them, allows the prediction and mapping of patterns of behavior, giving institutions the chance to be preventive rather than reactive. A combination of AI and machine learning can enable financial institutions to reduce their exposure to the risk of penalties and fines from national and international regulators. The time is now ripe for financial institutions to take note and incorporate these advanced technologies that have incalculable potential to transform the sector and enhance customer experience. Eric has more than 19 years of experience in the banking industry and heads up our financial services sector in Germany. He joined Infosys Consulting in 2014 from PricewaterhouseCoopers where he was an advisory partner and prior to that, has held various senior management positions at Capgemini and KPMG. 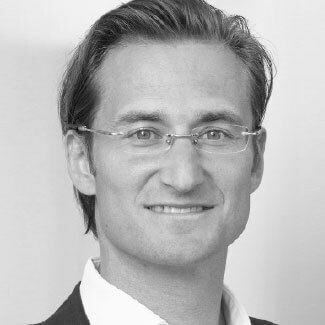 Eric started his career as a banker, working for HVB/UniCredit and Dresdner Kleinwort Benson, before moving to consultancy. He holds a doctoral degree from Universität St. Gallen (HSG), CH. Gerardo Salonia is a principal within our financial services practice in Germany with a focus on compliance, AML and KYC areas. He has extensive consulting experience within the e-commerce and financial services domain. 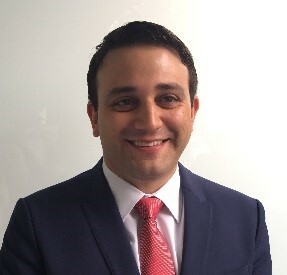 Gerardo has enabled several European companies and financial institutions to overcome the challenges posed by disruptive technologies and transform into digital-oriented organizations. Gerardo holds an MBA in business administration from the University of Mannheim. He is a certified AML officer and has a risk management certification from the Goethe Business School – Frankfurt University.